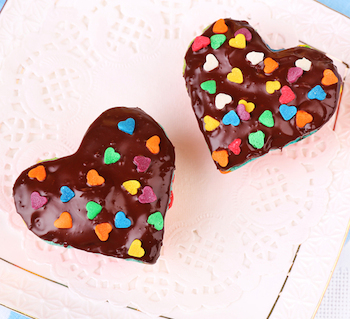 This is an easy way to create heart cupcakes. All you need is your normal cupcake supplies and tin foil. Add your cupcake liners in your muffin pan. It works best with muffin liners. 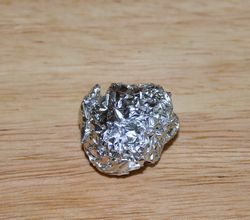 Tear a strip of tin foil and smash into a ball. You want a ball about the size of a nickel or marble. 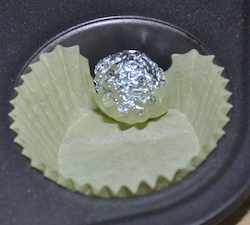 Place a tin foil ball between the liner and the pan at the top of each cupcake. Add batter to liners. Bake your cupcakes according to recipe directions. Allow to cool and gently peel off liners from cupcakes. Frost and decorate as you choose.